2nd Prize: Awarded to Karima Samnani. A student of Aga Khan School, Chitravad. 1st Prize: Awarded to Nisha Ramakrishnan. A student of Bombay International School, Mumbai. jointly with Armaan Mehra. A student of Bombay International School, Mumbai. 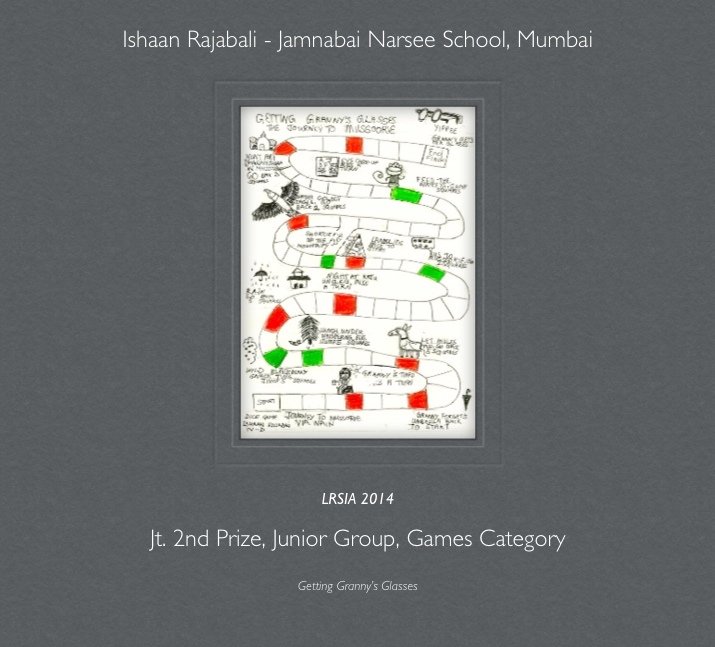 2nd Prize: Awarded to Mitansha Kagalwala. A student of Arya Vidya Bandra (W), Mumbai. jointly with Inshaan Rajabali. A student of Jamnabai Narsee School, Mumbai. Congratulations winners! You have all demostrated tremendous creativity.